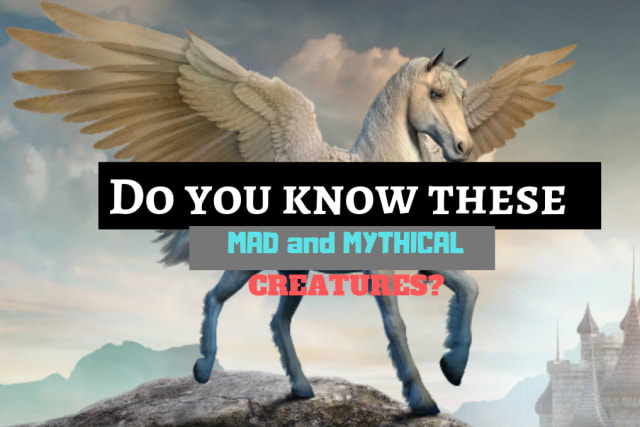 Do You Know About These Mad And Mythical Creatures? How immersed in the fantasy realm are you? Can you guess these weird and wonderful creatures from all of your best storytales? Pass this quiz and we will tell you how mystical you really are. Where have you been hiding all these years? Your mythical creature knowledge needs a bit of work but that is ok. You don't know many of the myths and miraculous meanderings but it is fine. You prefer to stay in the depths of dragon's den's rather than get swept away in many underworlds. You are like a werewolf and get lost in the night. You are able to differentiate your days and recognize which world you belong in but your creature knowledge is limited to the stories that you were told as a kid. Beyond that the unknown is a mystery and you prefer it that way wild creature. You love monsters. Anything that screams fantasy and creatures is what you love. You have read all Harry Potter and Lord of the Rings books and this is what makes you happiest. You just smashed this quiz and big well done!